Accelerates the learning of aspiring creative technologists. Based in Boulder, Colorado, RefactorU accelerates the learning and development of the world's aspiring creatives, makers, and technologists. 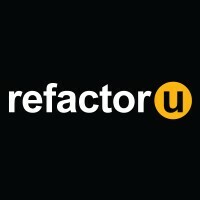 RefactorU empowers individuals to reinvent themselves to meet the needs of today's technology-driven economy while building lifelong professional networks for the future. Chris is a game developer and designer with substantial experience in front and back-end web development as well as web and desktop game design and development. Chris is the current Instructor for RefactorU's online courses, and spends his daylight hours being a rockstar Front End Engineer at Facebook.